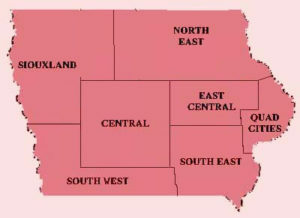 This is a listing of the IOWA State Square Dance Regions. Each of the Local Regions listed contains the clubs or organizations in that area. The clubs or organizations can be any of the following: a Square Dance Club, a Round Dance Club, a Clogging Club or the Callers/Cuer Association for that reqion.